If you no longer wish to have dedicated supporter and do not want to be charged, please scroll down to the bottom of the page and go through the steps for cancelling. The first thing you need to do is send @Legend a private message with your paypal email and amount to be refunded. The next thing you must do is cancel the extra subscription. 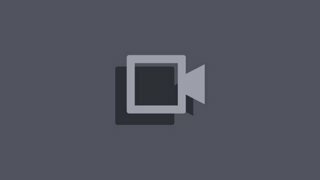 The steps for cancelling a subscription are found at the bottom of this page. When does my DS end? Want to quickly check when your DS will end or recharge you? 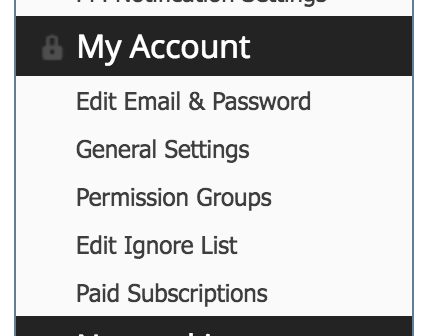 Start by going to your forum settings page. Then scroll down to the My Account section. At the top you should now see something like this. Then click on manage automatic payments. On the left hand side, "active payments" should be selected. 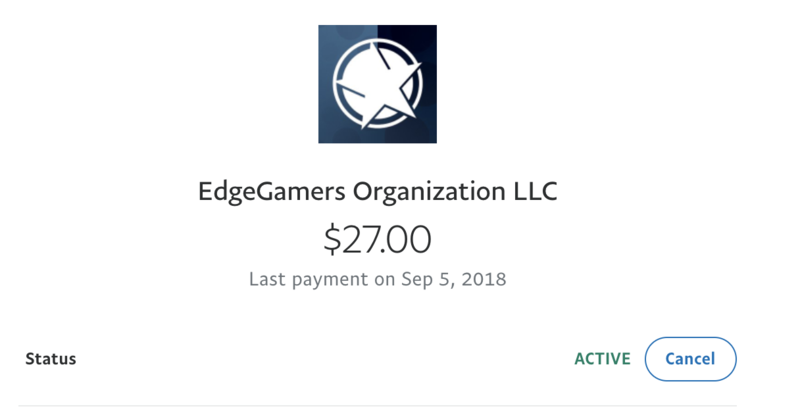 Click "see more" until you find EdgeGamers Organization LLC. Click on the subscription and then click cancel. If you were charged twice then there will be two subscriptions. Pick one to cancel and leave the other. Last edited by Ryo5678; 01-16-2019 at 02:04 PM.